How can we rent Bar Harbor View Cottage? First, check our calendar on VRBO to make sure the week you want is available. Then contact us. How far is Bar Harbor View Cottage from downtown Bar Harbor and the entrance to Acadia National Park? Both are within 20 miles. 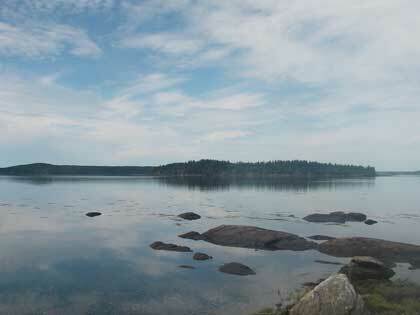 Are there any books on hiking Acadia National Park that you recommend? We’ve written about a few guide books we like in this document (pdf format). Where’s the best place to get lobsters? The Trenton Bridge Lobster Pound – turn right out of our driveway, go about 4 miles, turn right on Rt. 3 and go about half a mile. The lobster pound will be on your right just before you cross the bridge. Call ahead and order your lobsters and they will be cooked and ready for pick-up. Make sure you take the kids to see the steaming pots that the lobsters are cooked in! In Trenton, there is the Trenton Marketplace IGA. Turn right out of our driveway, go about 4 miles, turn left on Rt. 3 and Trenton Marketplace will be on your left in about half a mile. In Ellsworth, there is a Shaw’s Marketplace and a Hannaford Supermarket, both on Rt. 3. Are there any airports nearby? 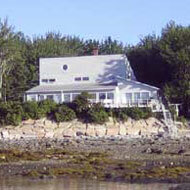 The Bar Harbor Airport is about 5 miles from Bar Harbor View Cottage. The Bangor Airport is about an hour away. The Portland Airport is about 3 hours away. The Manchester, NH Airport is about 4.5 hours away. There is a lockbox on the door entering the house. Instructions for accessing the key inside the lockbox will be emailed to you no later than a week before your arrival. You are expected to lock the house and return the key to the lockbox prior to your departure. Can we use your kayaks? Absolutely! You’ll find life vests, booties and paddles in the garage. Head across the Western Bay and you’ll probably encounter plenty of seals and dolphins. The small room between the kitchen and the foyer should have toilet paper, napkins, paper towels, extra light bulbs, etc. We would appreciate it if you would replace any items you use. Does Maine have a bottle bill? Yes. Bottles purchased in Maine can be taken to a supermarket and redeemed for 5 cents each. Bottles purchased elsewhere are not eligible. What should we do with our trash? Please bag all trash and place it in the dumpster in the driveway. Do not park in front of the dumpster or it will not be emptied during the week of your stay. Do NOT leave any trash in the house when you depart. What should we do with the fireplace ashes? An ash can has been provided for your use. Once the ashes have cooled, please dispose of them outside. Do NOT place them in a plastic bag or in the garage. Maine Coast Memorial Hospital is located at 50 Union Street in Ellsworth, about 10 miles from Bar Harbor View Cottage. What are temperatures like in the Trenton area?